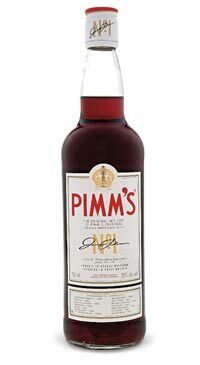 Pimm’s was first produced in 1823 by James Pimm. A gin-based drink containing quinine and a secret mixture of herbs, its original purpose was to aid digestion. Pimm’s is often mixed with carbonated lemonade or ginger ale, as well as various chopped fresh ingredients,particularly apples, cucumber, oranges, lemons, strawberry and mint.